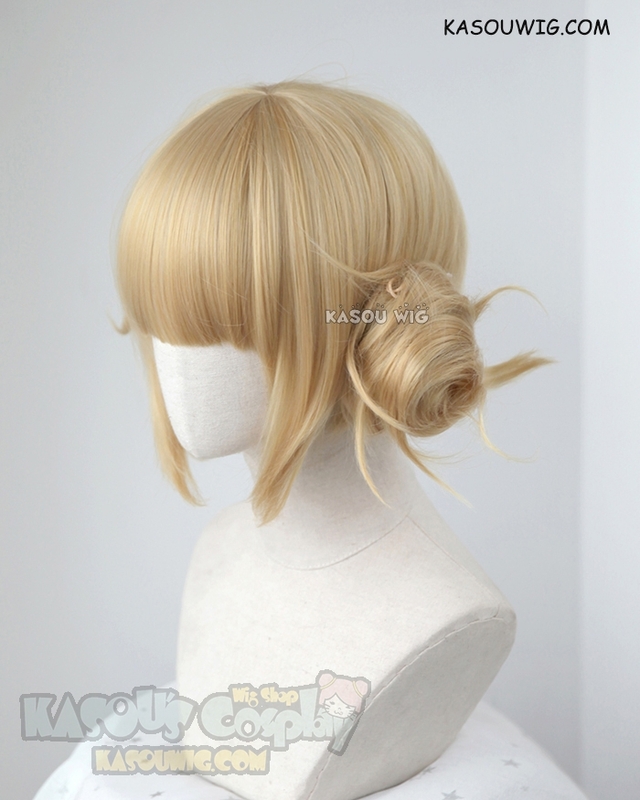 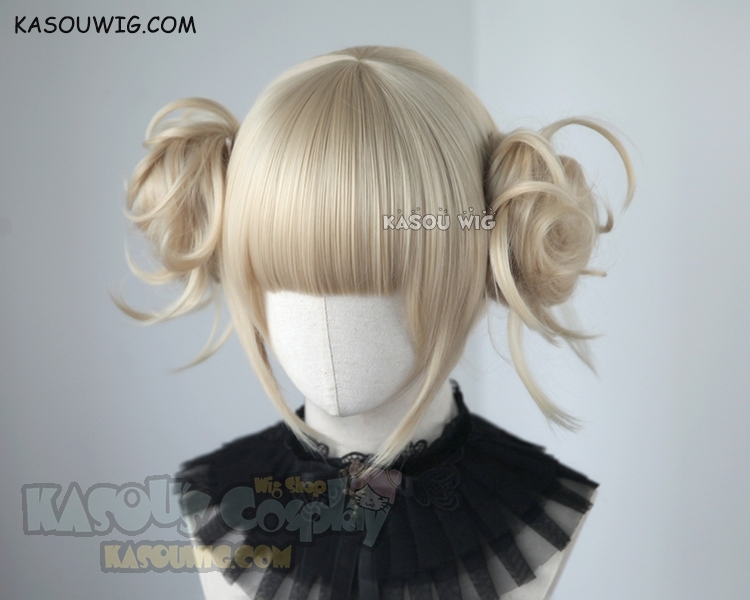 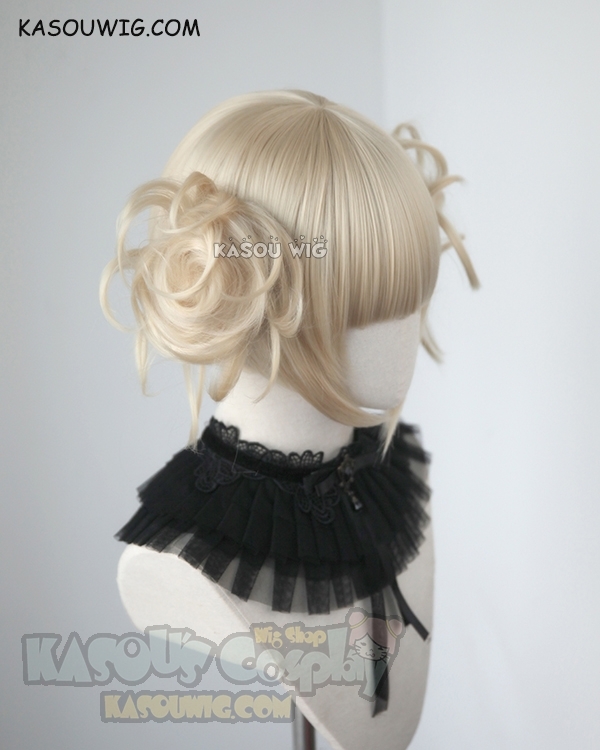 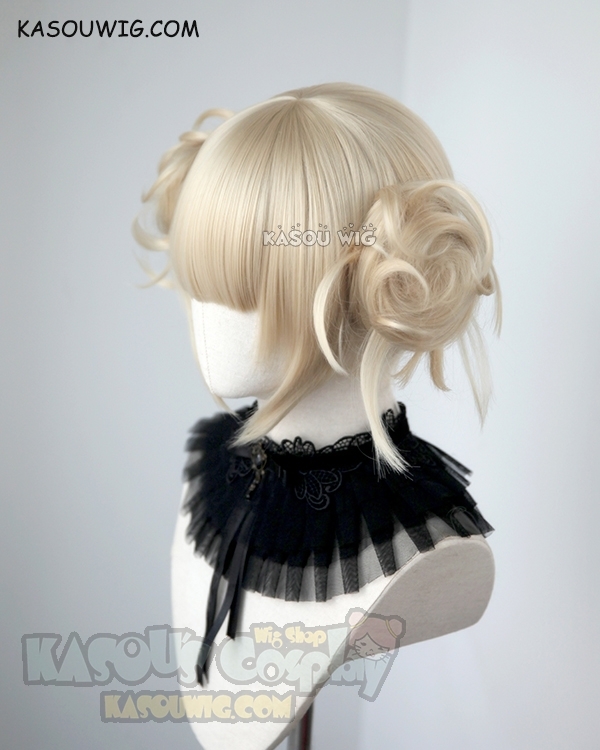 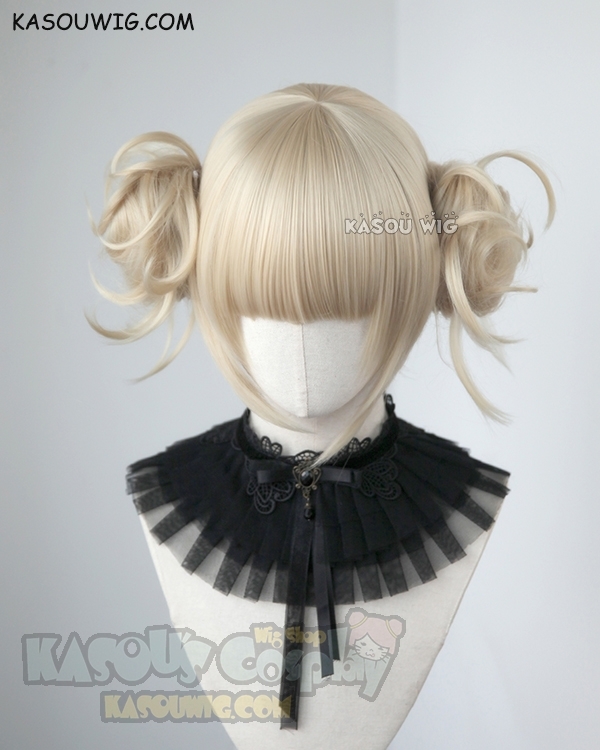 style: short smooth base wig with blunt cut bangs （ has a small round skin top） + two messy buns. 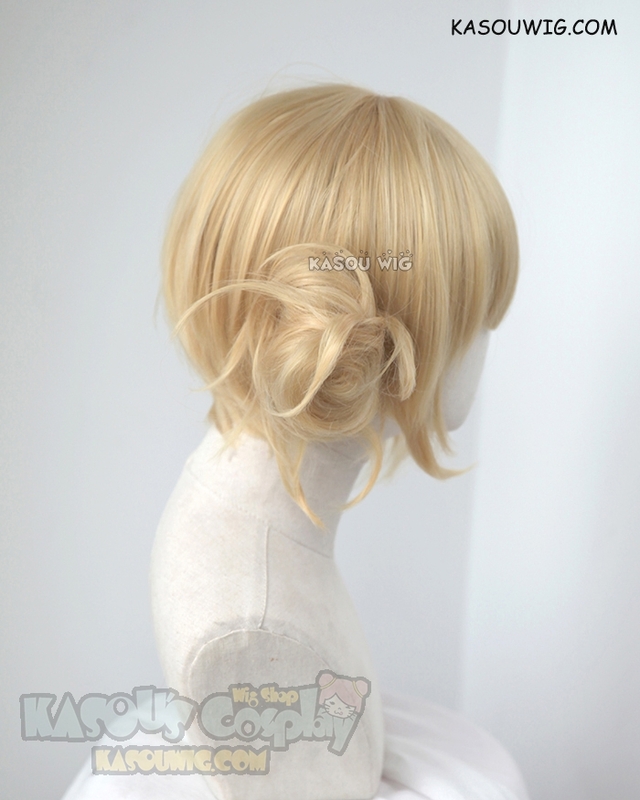 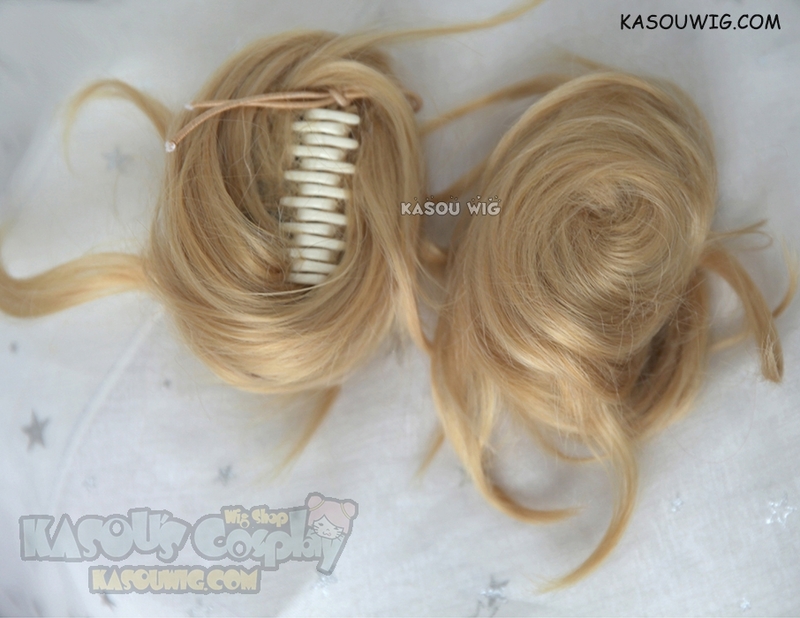 There're several thin locks of hair are sewn on the buns, you can easily pull them out to make the messy effect. We have standard color and special color (SP) for two types of color charts. 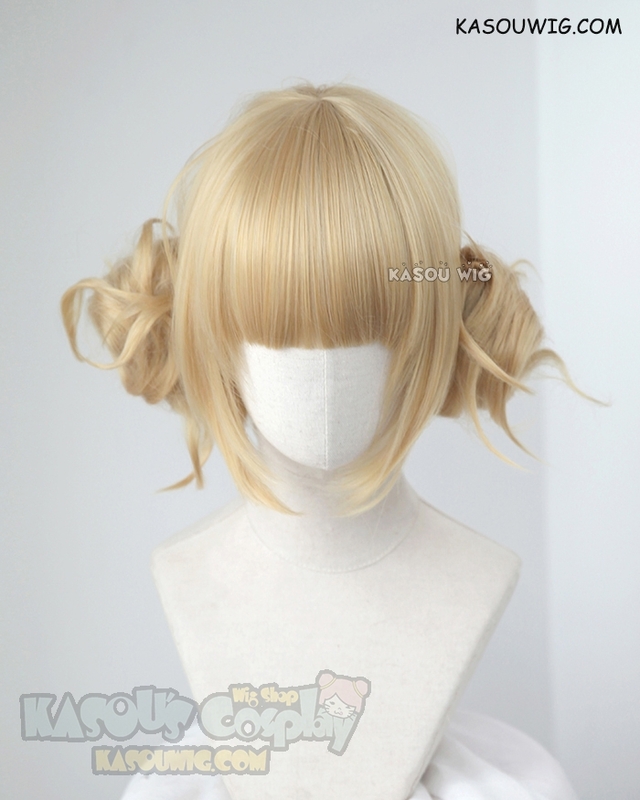 1) The standard color chart contain over 60 common colors which chose from more than 1,000 factory colors, and they are sequenced according to color and lightness. 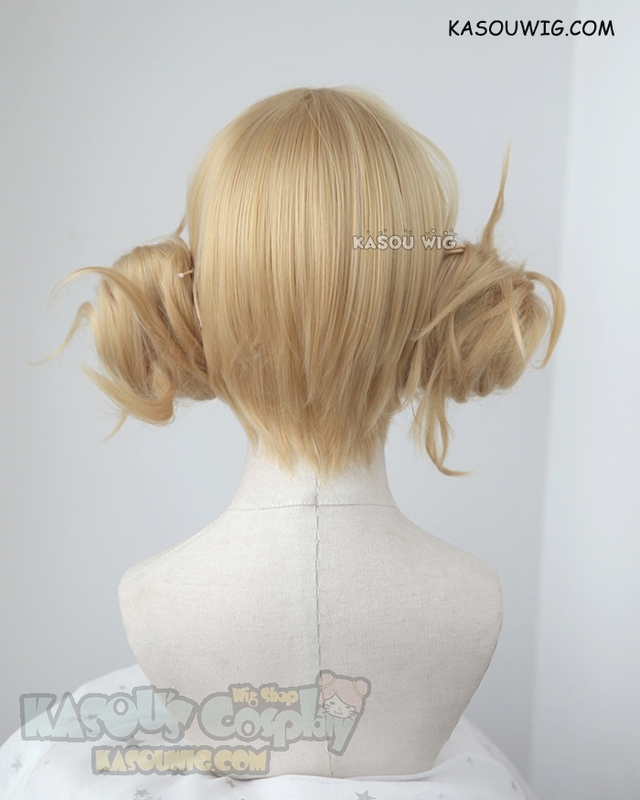 There are pure color and mixed color in standard color chart, but fewer colors are used for SP mixed colors, so normally no more than 3 colors mixed (the number of colors may increase as demands increase). 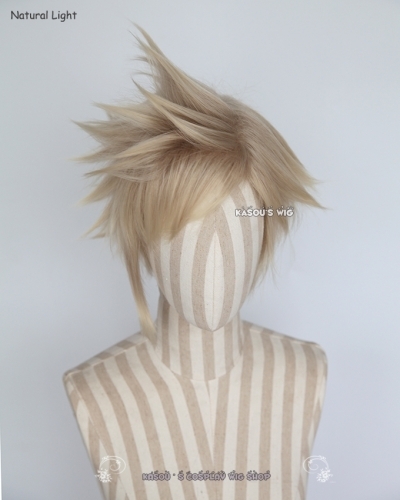 2) SP contains unique and uncommon mixed colors chosen from character wig designs of our past experiences, and they have at least two mixed colors with rich and full hues, there will be slightly different color effect under different lamplights. 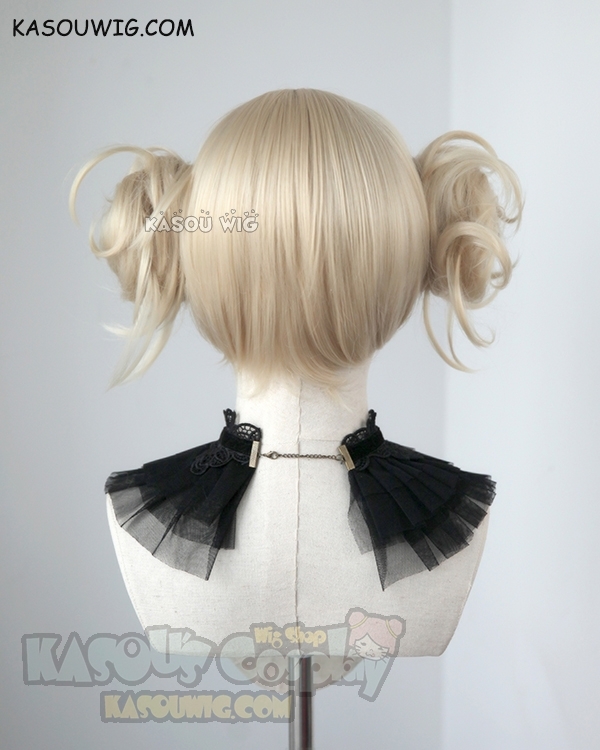 There is no sequence for the color chart arrangement, and new colors will be irregularly added.